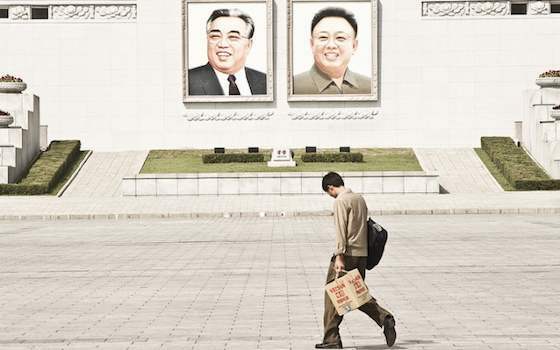 Policymakers have long predicted that North Korea would go the way of East German Communism. Policy analysts, pundits, and politicians have long predicted that the North Korean government will go the way of East German Communism. Just as the seemingly impregnable Honecker regime rapidly disintegrated along with the Berlin Wall in November 1989, the Kim dynasty in North Korea has been expected to collapse at any minute. This minute, of course, has lasted for more than two decades. The latest trend is not simply to predict regime collapse but to prepare for it. As far back as 1999, the United States and South Korea teamed up to draft CONPLAN 5029 as a set of military contingency plans in the event of political chaos north of the 38th parallel, a conceptual plan that only became a completed operational plan in 2009. In 2008, the South Korean government altered its defense strategy to incorporate rapid response brigades, anchored by 2,000 advanced wheeled armored vehicles that could move quickly to secure cities and critical infrastructure in case of internal instability in the North. The most recent, and most detailed, set of contingency plans have been laid out in a recent RAND report authored by Bruce Bennett, who has advised both the U.S. and South Korean militaries on how to plan for North Korea's eventual collapse. The North Korean regime might indeed collapse at any moment, and contingency planning is rarely a bad thing. But certain assumptions that carry over from the East European experience of 1989 cloud the debate on North Korea's future, assumptions about the "inevitable" trajectory of history, the appropriate strategy for dealing with non-democratic governments, and the kind of contingency plans that make sense in a tripwire environment. North Korea today is, for many reasons, not East Germany circa 1989. Still, there are lessons that can be learned from that time and place and applied to the current situation on the Korean peninsula. North Korean on the Verge of … What? Over the last quarter century, North Korea has endured three major systemic shocks, any one of which would have spelled the end of a less hardy regime. The collapse of many Communist governments in 1989 created a domino effect that nevertheless didn't topple the government in Pyongyang. The death of the founder and only leader of the country in 1994, which occasioned much speculation about political turmoil, led to a relatively smooth transition in power to the son (and then, in 2011, to the grandson). And the wide-scale famine of the latter half of the 1990s -- on the heels of dramatic drops in agricultural and industrial production -- killed a large portion of the population but left the ruling elite in place. Today, by comparison, the situation is relatively quiet in Pyongyang. The economy has registered a modest improvement in GDP growth. The agricultural yields are slightly up, and malnutrition is dramatically down. China continues to direct considerable investment eastward and is responsible for the bulk of trade as well. A new wealthy class has emerged, particularly in Pyongyang, where it takes advantage of high-end restaurants and stores. Equally important, the now well-established markets provide opportunities for those without impeccable political pedigrees to survive and even prosper. Politically, Kim Jong Eun has apparently consolidated his leadership. He has shaken up the ranks of the military and the Party, elevating people like Choe Ryong-hae to the top of the military's General Political Bureau. Rumors of assassination plots and rivalry abound. But the third leader in North Korean history has acted with the same ruthlessness as his predecessors in eliminating potential challengers. The recent execution of his uncle and presumed force behind the throne, Jang Song Taek, along with a number of his confederates, suggests that the Kim Jong Eun's position is currently unrivalled. Importantly, the executions did not appear to alter any of the regime's talking points -- on negotiations with the United States, economic engagement with South Korea, or trade with China. The Communist regimes in Eastern Europe collapsed so quickly in part because the populations there had shed any identification with the official ideology. In North Korea, Communism remains a rhetorical flourish -- much as the word "democratic" in the country's official name -- but doesn't shape the government's programs or the population's affections. The official dogma of juche (roughly, self-reliance) is too abstract and infinitely pliable a concept to command fealty. What is left, however, is nationalism, which the Kim dynasty has deployed in increasing doses to tie the regime's legitimacy to a putative 5,000-year-old history, distinguish North Korean "purity" from South Korea's "polluted" cosmopolitanism, and offer an illusion of security to contrast with the insecurities of globalization. In short, North Korea -- unlike the East European regimes of 1989 -- seems to be on the verge of remaining the same, with some minor variations, for some time. North Korea has not followed the same trajectory as East Germany because, to state the obvious, the countries are very different. The differences in their experiences, however, are worth noting in brief. The leadership of East Germany was not only geriatric but also widely perceived by the population as subservient to Moscow. The same applied to other leaders in the region (with the notable exceptions of Romania, Yugoslavia, and Albania, all three of which had broken to one degree or another from the Soviet Union). Every country in the region, moreover, possessed a small group of high-profile dissidents that represented an alternative to the ruling elite -- from the massive Solidarity movement in Poland to the handful of anti-regime voices in East Germany. The North Korean leadership, by contrast, prides itself on being independent from everyone, even those countries on which it is dependent (juche being the opposite of sadaejuui or flunkeyism). The head of state is far from geriatric. There are no public dissidents in the country. Nor, as the case was in Bulgaria and Yugoslavia, are there any ethnic divisions. And unlike Romania or East Germany, not to mention Poland, there have been no significant displays of worker discontent. Economically, the North Korean system operates at a considerably lower level than East Germany in 1989. But what drove spikes in public discontent in Eastern Europe was rising expectations. In the 1970s, fueled by Western loans, the Communist governments in the region shifted resources away from heavy industry and toward a more consumer-oriented economy. It was the inability of the governments to meet rising demands from consumers (for more goods) and workers (for higher wages) that created the legitimation crisis in the 1980s. North Koreans, by contrast, have endured the collapse of their economy and not overthrown their leaders. Over the past decade, the markets have also provided a release valve -- offering a wide variety of consumer items for those with money and an alternative path to success outside established structures for those willing to take the entrepreneurial risk. Such markets can satisfy expectations raised as a result of trips to China or viewings of South Korean TV shows on illicit DVDs. There has been a perennial expectation that China will play the role of the Soviet Union in 1989. From the Rumsfeld memo of 2003 to the more detailed analysis of the recent RAND report, U.S. observers have expected Beijing to cut loose its putative ally and find common geopolitical cause with Washington. In such a scenario, once the North Korean leaders found themselves as isolated as the East German leaders did in 1989, they would crumble just as quickly. But China is making a different set of calculations than the Soviet Union did in the late 1980s. It values stability in its "near abroad" as a precondition for its own preferably double-digit economic growth. It will not do anything to jeopardize this economic imperative. China has made important investments in North Korea and views the future extractive resources as key inputs for its own growth. But the negative scenario of regime collapse -- and the shock waves it would send through the regional investment climate -- is more important than the relatively small impact these North Korean investments have on the Chinese economy. Even if such a drop in investor confidence in Northeast Asia were brief, it could still pose a considerable risk to the Chinese Communist Party's maintenance of domestic political stability. Of course China is frustrated with North Korea -- with its nuclear weapons program, its failure to implement more substantial economic reform, and its tendency to attract undue attention to the region with its precipitous actions and rhetoric. Beijing has thus backed UN sanctions against Pyongyang and will put pressure on the government to be more amenable to negotiations. But in the end, China treats North Korea much as the United States treats Israel -- as a difficult, exasperating, and ultimately irreplaceable ally. The economic and geopolitical calculations of both countries toward their recalcitrant allies might change, but probably no time soon. Finally, the United States and its allies have approached North Korea in a very different way than they approached the Soviet bloc in the 1980s. There are some similarities in the strategies of military containment in both cases. But containment, particularly in this era of "strategic patience" toward North Korea, is the only arrow presently in the U.S quiver. During the era of U.S.-Soviet confrontation, however, Washington maintained a variety of strategies for influencing the course of events in Eastern Europe. On the economic side, the United States engaged in significant trade with the Soviet bloc, and U.S. banks extended substantial loans to East European countries ($230 million in loans to Poland in the 1970s, for instance). Throughout the 1970s, the United States and its allies engaged in various diplomatic endeavors culminating in the Helsinki Accords of 1975. And at the geopolitical level, Washington was constantly on the lookout for ways to drive wedges between Eastern Europe and the Soviet Union, for instance by reaching out to both Romania and Yugoslavia when they sought to put distance between themselves and Moscow. So, in sum, North Korea doesn't look at all like East Germany (or the rest of Eastern Europe) circa 1989 for economic, political, and ideological reasons. China, with its overemphasis on regional and domestic stability, is playing a different game -- on a different playing field -- from the Soviet Union of the late 1980s. And external actors like the United States have adopted a largely monochromatic policy toward North Korea in comparison to a much more multicolored approach to the Soviet bloc during the Cold War. The changes in Eastern Europe in 1989, followed by the dissolution of the Soviet Union in 1991, created a certain expectation that Communist governments would all inevitably collapse. When the domino effect largely bypassed Asia, the next expectation was that Communist governments would have to change substantially -- as in China's economic reform or Vietnam's doi moi -- or else face collapse. North Korea has neither collapsed nor embarked on significant reforms. Still it endures. Since North Korea has proven so different from both its distant European and close Asian Communist cousins, what possible lessons can be drawn from the experiences of 1989? The three categories of relevant experiences pertain to contingency planning, developments in North Korea, and the influence of regional integration. In terms of contingency planning, the emphasis has been on military preparedness -- to secure nuclear material, prevent a humanitarian crisis, and reduce the potential for civil war or regional conflict. Within certain parameters, such planning is useful. Although North Korea doesn't appear to be near collapse, the unexpected does happen. And it certainly doesn't make sense to train State Department officials or NGO aid workers to find and secure nuclear weapons and material. However, the deployment of military personnel, particularly U.S. soldiers, should be approached with a great delicacy. Outright collapse of regime followed by complete chaos -- a scenario that might produce a consensus in favor of outside military intervention -- is only one possible future for North Korea and not necessarily the most likely. More probable would be an ambiguous situation in which some force asserts leadership in Pyongyang, from within the Party or the military, and only sporadic opposition to the new order emerges. Would military intervention in such a situation be beneficial, particularly in a country so thoroughly imbued with nationalist ideology and especially given the recent experiences of outside intervention in Iraq and Afghanistan? The RAND report also slips rather easily from preparing for contingencies to precipitating those contingencies, for instance by recommending a covert operation to convince the North Korean military to turn against the regime. The experience of Eastern Europe in 1989 is also valuable here. Except in a limited sense in Romania in December 1989, the military forces aligned with the Communist regimes did not intervene against growing opposition movements -- even though in many circumstances, it would not have taken that much force to suppress the demonstrations. This may well have simply been a matter of luck. However, if foreign forces had been introduced into the situation -- or even if there had been the threat of such an intervention -- the events of 1989 might have gone very differently. The Soviet Union also may not have taken such a laissez-faire attitude if NATO forces had been poised to intervene. The experience of East Germany after 1989 offers some guidance in terms of developments inside North Korea. Even today, nearly 25 years after the fall of the Berlin Wall, former East Germans complain about their second-class treatment in unified Germany. East German lawmakers produced a constitution for a democratic East Germany that was ignored; reunification proceeded according to Article 23 (absorption) instead of Article 146 (a new constitution) of the West German constitution; Treuhand privatization privileged West German firms. On the economic side, East Germany was the beneficiary of enormous West German largesse. But East German lander have still failed to close the gap. Although wages have narrowed considerably, overall household income in the eastern lander remains only 70 percent of that in the western lander, and the unemployment rate in the east is nearly double that of the west. The gaps between the rest of Eastern Europe and the West are even larger. Finally, the issue of justice remains foremost in the minds of citizens from the East: did those who benefited under the previous system unfairly prosper under the new dispensation as well? But perhaps the most important lesson of 1989 has been the importance of regional integration. The countries of Eastern Europe had an immediate goal after the collapse of Communism: membership in the European Union. Reforms that might not have ordinarily been popular were borne for the simple reason that EU accession required them. Although the initial expectations of Eastern European countries have not been met -- their standards of living have not reached that of Austria -- the promise of regional integration established a set of political, economic, and social criteria that were negotiable within certain parameters and not the diktat of one country. Any effort to apply the experiences of one part of the world to another part should necessarily be modest. Much of this brief, after all, has been devoted to why North Korea is so different from Eastern Europe. But as we think about North Korea's future, it is imperative that we not restrict our contingency planning to the military sphere. As in Eastern Europe in 1989, the emphasis should be not on military but on diplomatic, humanitarian, and eventually economic responses to change in North Korea. North Koreans, furthermore, should be at the center of determining the future of their country rather than simply being the objects of the foreign policy making of other countries. The economic gap between North and South -- and the concerns of the population about justice -- should be addressed up front, with clear benchmarks, and without unrealistic promises. Finally, it will be important to consider North Korea's future not simply in terms of the peninsula but for the region as a whole. Although Northeast Asia is far from the kind of regional cooperation that existed in Europe prior to 1989, it is never too early to pursue a regional security model (as proposed, for instance, by China in the latter stages of the Six Party Talks). Contingency planning is a useful exercise. But preparing for a wished-for result should not substitute for policies that could ameliorate the current situation. Much as European countries did in the 1970s, alongside the United States and Soviet Union, countries in and around the Korean peninsula can and should take actions to make the transition of the entire Northeast Asian region from its current Cold War environment as conflict-free as possible.